Happy Monday, friends! 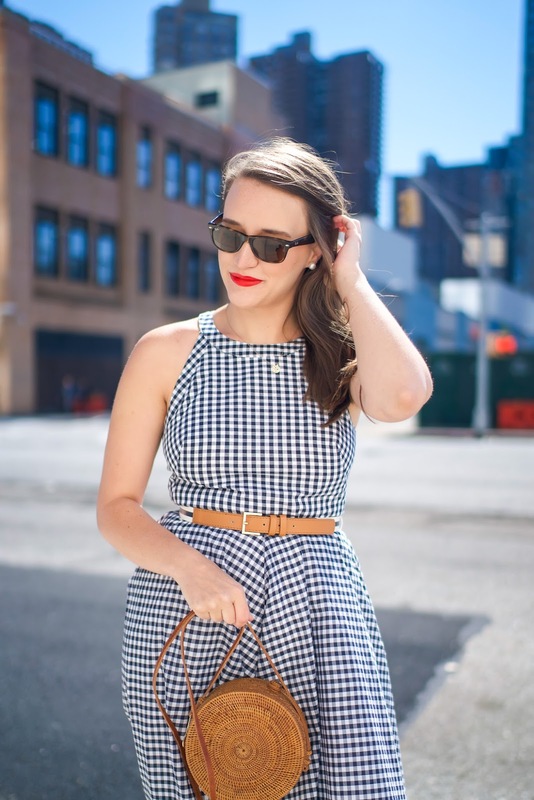 Starting off yet another week with yet another gingham dress. At least I'm a creature of habit? I've said it before and I'll say it again: there is little I love more than a good fit-and-flare dress. The structure of them and the way they hit your body in all the right places is the BEST. 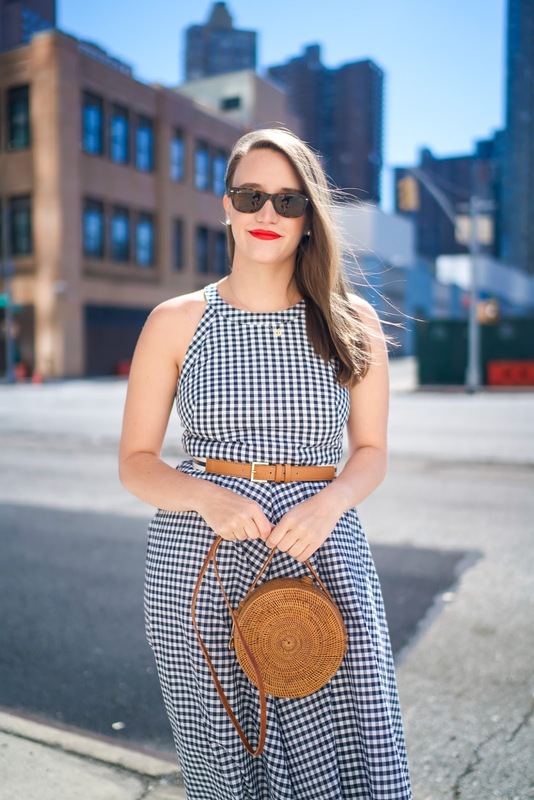 I love them that much more when there is gingham involved, but you already know that! This look screams summer and picnic in the park (which I have done before! ); maybe a little bike riding around the city too. Last week, the weather was H-O-T hot and everyone was complaining and now we're looking ahead to rain this week. The worst! But I'm happy to have a true spring, I guess?